Cardiology department is engaged in the treatment of heart conditions. The heart as the engine of the human body deserves a lot of attention. At the department, specialist cardiological examinations and tests are carried out which allow us to assess the functioning of the heart, to diagnose any medical conditions and to advise on the appropriate treatment. Gastroenterology department is engaged in the health of the digestive system. Accurate examinations are used to establish the condition of the digestive system, to detect possible diseases and what treatment may be necessary. For specialist test results, condition assessment and expert advice on treatment and provision of suitable orthopaedic accessories. Top-class specialists and advanced diagnostic equipment. Have your state of health checked with preventive medical examinations. 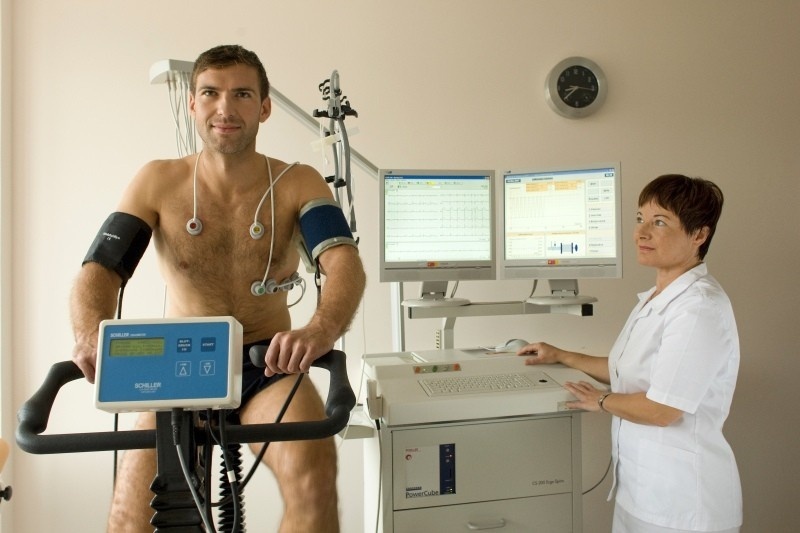 The Ultrasound and X-ray diagnostics provides an insight into the internal state of the body. The professionally trained staff will also perform the following diagnostic tests: ultrasound of the abdomen, thyroid, breasts, cervical arteries, veins or arteries of the lower and upper limbs, transrectal prostate examination and muscular-skeletal ultrasound. Urology department engages in the treatment of the urinary system and prostate. In this day and age may men experience prostate difficulties. Hyperplasia is one of the most common diseases in men, which causes problems with the discharge of urine. Prostate cancer represents a serious danger, which can be cured if detected early enough. If there are no cases of the disease in the family, doctors advise such an examination after the age of 50, otherwise at least five to ten years earlier. Experts carry out a total urological examination and preventive examinations of the prostate. Get an expert opinion and specialist test results on the basis of state-of-the-art diagnostic procedures such as ultrasound of the heart and blood vessels, spirometry, stress tests, Holter monitoring of blood pressure, and ECG. For rehabilitation and a better quality of life despite problems with joints. For gynaecological examinations, swab collection, ultrasound, breast examination.